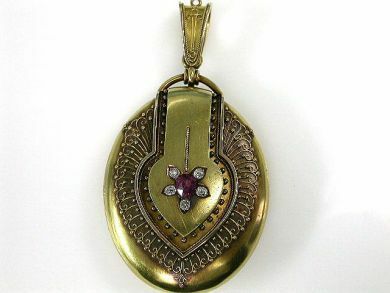 One 18 karat yellow gold, oval etruscan filigree design Victorian locket. One pear facetted cut ruby (0.59 crats). Five old mine cut diamonds (0.37 carats: SI clarity: G-H colour).